Aug 2, 2007 - We've all heard of Fannie Mae and Freddie Mac, in various tones and across different topics. But who are they? How do they operate in the world of mortgages, money, and home ownership?How are they different from other banks and lenders? In a series of articles, we examine the good, the bad, and the curious about government-sponsored enterprises, otherwise known as Fannie Mae and Freddie Mac. As the housing market cools, and the subprime market continues its meltdown, Fannie Mae and Freddie Mac have stepped forward with plans and regulations designed to ease the pain. In this article, we look at some of their proposed solutions. In April, as the woes from the subprime meltdown increased and millions of Americans faced foreclosure in the coming years, Fannie Mae and Freddie Mac pledged at least $20 billion in a new “Homestay” program, designed to help homeowners in danger from the market. Many critics, particularly in California, were happy about the effort but not the probable execution. Representatives noted that the refinancing programs would be virtually meaningless in most areas in the state, where the median home price significantly exceeds limits set by the mortgage companies. The plan is scheduled to begin this summer. In July, Fannie Mae and Freddie Mac announced they would only buy mortgages that comply with guidance issued last year, requiring strong underwriting standards for “exotic” loans. These include adjustable-rate mortgages and interest-only loans. The goal of this move was to reinforce the necessity for safe underwriting practices in promoting solid homeownership. All mortgages that are considered exotic or nontraditional made on or after September 13 will be subject to the rules. 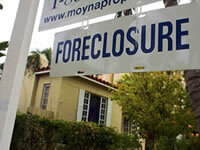 This regulation came about in part due to the lessons learned from the subprime collapse. The companies hope that better standards for underwriting and lending will make the market more secure, and homeowners better able to pay for and keep their homes. With plans like these, Fannie Mae and Freddie Mac hope to lead the market back to stasis, preventing future foreclosures, ensuring strong loans, and continuing to build steady and secure home ownership. Read our continuing series where we examine other aspects of GSEs, including an overview of their duties, their initiatives to increase home ownership, and their surprising scandals.